Happy Taco Tuesday! I love tacos and I love that you can get them for pretty much nothing on Tuesdays. But what I love doing even more is making my own, healthy tacos, using my own recipes. This week is no different and I have my fav chicken taco recipe to share. This is a super easy and delicious recipe that is sure to make your tummy, and the littles in your life, happy. I'm all about being efficient and keeping the mess to a minimum when it comes to cooking -ok, in all aspects of my life- and this dish plays to that. 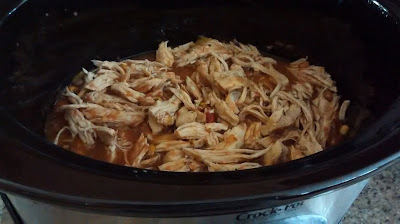 I use a crock pot for this dish, however, you can always slow cook chicken the same way on the stove. What I love most about these tacos are how spicy and juicy the chicken turns out. In a crock pot, cook chicken breasts and salsa on high for two hours. Once cooked, shred the chicken and stir. In a mixing bowl, combine drained black beans, thawed corn, black pepper, and chives. Chill for 20 minutes. 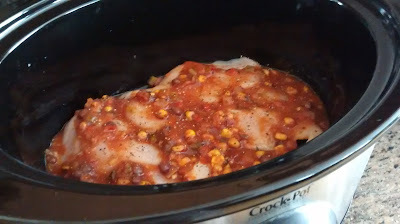 Get your corn tortilla and put chicken, bean mix and additional salsa inside. Squeeze lime juice and add a dollop of avocado. How much do you love biting into a perfectly prepared taco? I know I'm truly satisfied when my whole family enjoys and actually eats what I make. And these tacos do the trick! Have a great week! That looks delicious. I love a good taco! Street tacos are my absolute favorite!!!! Pinning! Who doesn't love tacos?? 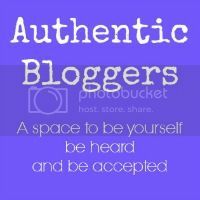 I love that they are easy and there are hundreds of different options to keep them exciting! Nice not to have heat up the kitchen. We love these kinds of meals. I could eat tacos every night. YUM! This recipe is making my mouth water! Hahaha. My boyfriend and I love going to get tacos but it would be so much fun to make them at home! I'll have to try this out. Thanks! Yum! This recipe is exactly the type of food I crave all the time - love it! I could eat tacos all the time!! I love how simple they are to make and how many delicious combos are out there! chicken tacos are my favvvvorite!! I could eat them all day every day! Oh, and crock pot. You sold me! Oh these look SOOO good!!!!! That looks awesome. I'm so in! I've really been on a good taco kick lately. I know some people that would gobble these right up! This looks so delicious, I am going to have to make it real soon, with Tofu of course as I am a vegetarian. super simple and healthy too! 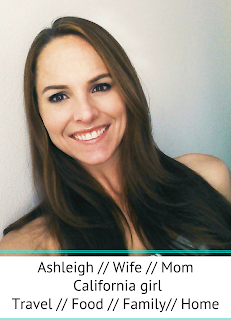 Love to try it, Ashleigh...I always love black beans and salsa sauce. 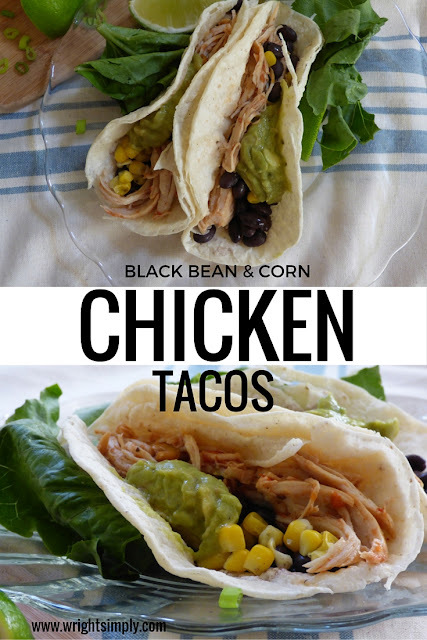 These look amazing Ashleigh, I love anything that goes into a taco shell.